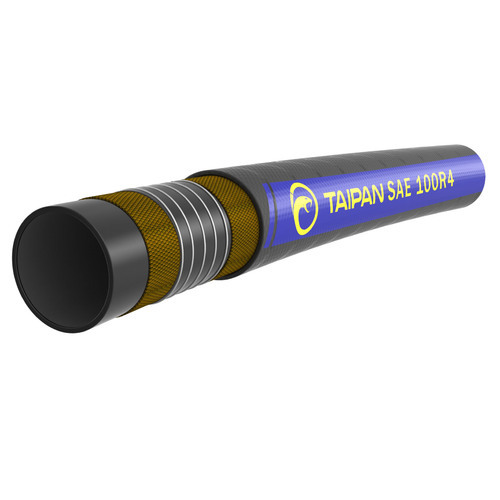 TAIPAN PETROL OIL SUCTION 110DEG 3/4"
TAIPAN PETROL OIL SUCTION 110DEG 1"
TAIPAN PETROL OIL SUCTION 110DEG 1 1/4"
TAIPAN PETROL OIL SUCTION 110DEG 1 1/2"
Construction: Synthetic oil resistant rubber with 1 high tensile polyestere cord (1 helix wire). Synthetic oil and weather resistance cover. Application: Oil suction & discharge hose cover for use in low pressure and vaccum applications with petroleum base hydraulic fluids.